Love the color of Spring ! April 20. - June 2. 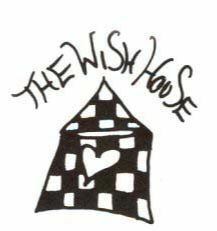 The Wish House is a fun and unique shop that features eclectic gifts, clothing, and home accents made by craftsman from around the world and just down the road. We invite you to get inspired in a colorful ambience .The Souterrain Gallery is a fixture of the Wish House that features artwork by local artists. We are located in the quaint village of West Cornwall just a short walk from the famous Covered Bridge. Twelve Years ago we created the Cornwall Farm Market held May - October on Saturdays 10:00-1:00 on the Wish House Lawn to enhance the viability of surrounding Farms , Community and the West Cornwall Town Center , please visit us at www.cornwallfarmmarket .org . Stay tuned for updates! When you see the Bear you are There !